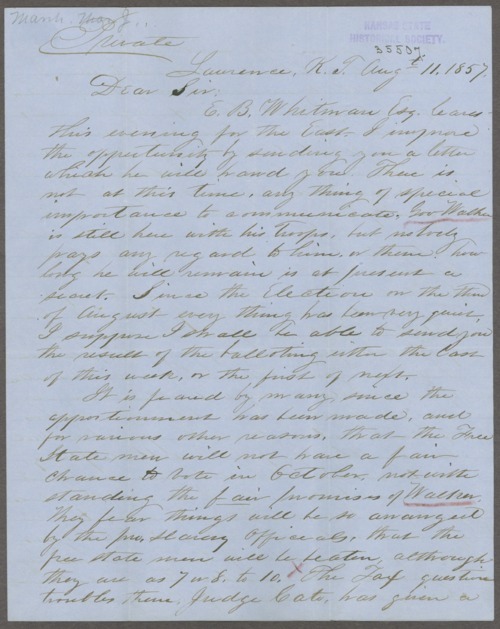 In this letter Thomas J. Marsh writes to George L. Stearns regarding the departure of E.B. Whitman for the East, the upcoming elections in October and Marsh's fear that the Free State men will not have a fair chance to vote. A searchable, full-text version of this letter is available by clicking "Text Version" below.